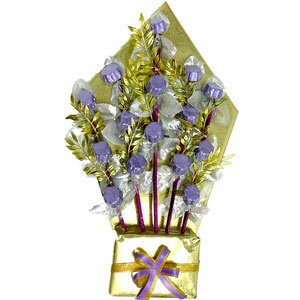 Surprise your loved one with this lovely Bouquet of Premium chocolates decorated as flowers. The bouquet is created and decorated to bring a smile on your loved one's face. An ideal add-on with a personalized gift of your choice.